An inspiring and joyful SPIRITUAL LEADER, a masterful TEACHER, and a compassionate and insightful COUNSELOR, Rabbi Jonathan has a special gift for creating settings that invite and inspire openness, insight, and self revelation. Drawing on his passionate love of MUSIC and dance and his evocative skills as a WRITER, he brings a rich and varied palette to his life’s work: sharing the joy, love, and wisdom of Judaism. What we need more than anything else is not textbooks, but textpeople. It is the personality of the teacher which is the text that the pupils read: the text that they will never forget. With a profound love and respect for ancient Jewish teachings, with an unshakeable commitment to intellectual honesty and emotional clarity, Rabbi Jonathan leads students through the forest of details to the Tree of Life at the center of Jewish wisdom. Rabbi Jonathan is the Senior Scholar at the Lev Shalem Institute (LSI) of the Woodstock Jewish Congregation, in the famed arts colony of Woodstock, New York. LSI offers a year round calendar of workshops and retreats that inspire full-hearted living through the wisdom, joy and gifts of Judaism. Rabbi Jonathan weaves many modalities of learning and brings a startling range of expertise to your community: scholarly teaching, inspiring music and prayer, and deeply personal and interactive Torah study. Every participant will find themselves nourished in both familiar and unexpected ways. 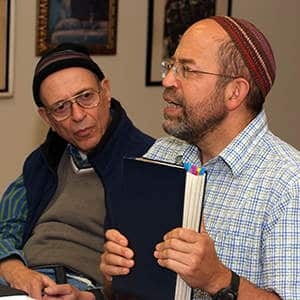 One to one: Long distance or in person, Rabbi Jonathan offers his experience, knowledge and sensitive ear toRabbinical students, rabbis and clergy of other faiths seeking to grow as spiritual leaders, and to all seekers who wish to deepen their understanding of Judaism and of themselves. The purpose of spiritual gatherings is to help each of us become more awake and more alive; to lift up our eyes and see new horizons; to dwell within the infinite expanse of this moment and this body that has been gifted to each one of us. This can be unsettling – it is sometimes easier to sleepwalk through one’s life. But Rabbi Jonathan gently crafts a holy space in which it is truly safe to be vulnerable, to feel both joy and pain, to explore inner space, and to awaken anew to the glories of being alive. Many of us never learned how to pray – the words remained inert on the page. The Shaliach Tzibbur’s role is to uplift those words off the page and into our hearts. Discover how to pray with Rabbi Jonathan. Our endlessly busy lives leave precious little time for deep engagement and reflection. Give yourself a gift of a Shabbat, a true retreat and rest, so that you can explore new horizons that beckon you, and reconnect with your precious inner life. And when one person taps out a beat while another leads into the melody, or when 3 people discover a harmony they never knew existed, or a crowd joins in on a chorus as though to raise the ceiling a few feet higher, then they know that there is hope for the world. A great sing-along is a lot like a religious service, when, as the psalm says, we “make a joyful noise”. In the tradition of his hero the late Pete Seeger, Rabbi Jonathan knows how to get everyone singing, whether in Hebrew or English. 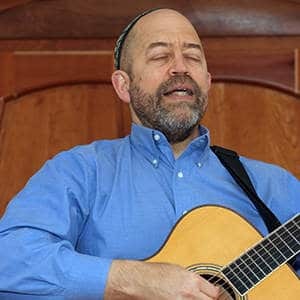 Rabbi Jonathan brings the same warmth and joy to the performance stage as he does to the synagogue sanctuary. Rabbi Jonathan’s rich, warm baritone has a way of entering your heart. Check out these uplifting CDs that he has recorded over the past two decades. 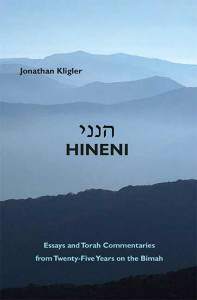 Bring Rabbi Jonathan’s literate, clear and inviting teachings home with you in the form of his writings. Rabbi Hillel taught: Do not judge another until you have stood in their place. Rabbi Jonathan brings more than 40 years of practice as a careful and caring listener. He listens in order to understand, not to judge, and offers guidance tailored to the needs of that person and that moment. Sessions can be in-person, phone or via internet. Contact Rabbi Jonathan for more information or to schedule an appointment. Please be in touch about bookings and any other inquiries. I look forward to hearing from you.